Sue Samuels, the Artistic Director of Jazz Roots Dance Company, has graciously offered to teach a class to benefit Jazz Choreography Enterprises, which is celebrating its 10th anniversary year! 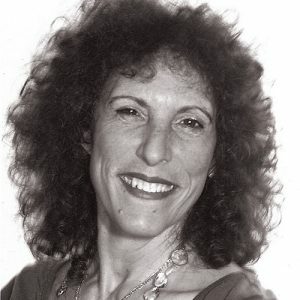 A choreographer with the New York Jazz Choreography Project since 2010, Sue is a much loved and highly respected teacher at Broadway Dance Center and the Peridance Capezio Center. In the spring of 2017, Sue taught three classes sponsored by JCE for Groove With Me, a nonprofit dance and youth development organization for girls 4-18 who reside in East Harlem or the South Bronx. We are very grateful to Sue, as she is donating her teaching fee back to JCE! Proceeds from the class will go toward the October 28-29 presentation of the New York Jazz Choreography Project. Tuesday, October 17, 2017, 6:00-8:00 p.m. Registration before October 17th is strongly suggested, but students can register at the door if space is available. Students (or a parent if the student is under 18 years old) will be required to sign a release of liability. To register please contact Marian Hyun at Marian@jazzchoreography.com.